Michaelmas Daisies seem very popular with this butterfly, we have seen it repeatedly return to feed on the flower giving lots of opportunities to photograph it. 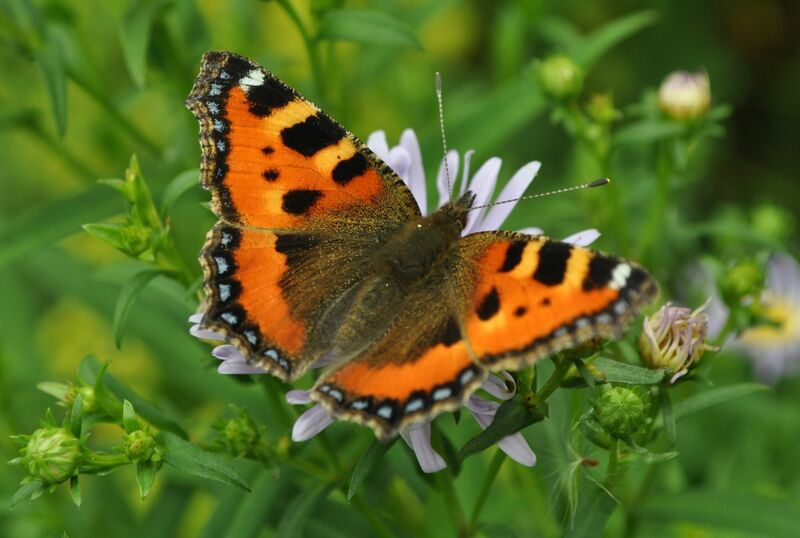 The Small Tortoiseshell is one of our most familiar butterflies and used to be one of the most common but in recent years its numbers have declined. The eggs are usually laid on nettles which is the main foodplant for the caterpillars. The caterpillars group together on the nettles and make an amazing communal web which are great to see.